People are leaving the church. Those who leave may still believe in Jesus, practice spiritual disciplines, read Christian books and listen to sermons and podcasts, but many see no value in investing an hour and a half at their local church. Some leave for selfish reasons, others have bad experiences of church and were not ‘fed’ at the one they attended. Whatever the reason people are leaving and not coming back. Kevin, who with his wife and family recently left his church to ‘pastor his family.’ He meets with a few families every week and shares in the teaching duties. John, Kevin’s friend who is disturbed by his lack of attendance. Michelle and Mike, a couple who quit church to minister more effectively to their non-Christian friends. Rachel a single mom who ended up leaving her church because of their judgmental attitude toward her when she became pregnant out of wedlock. Rick a young professional who stopped going to John’s church to attend the mega-church down the road. Admittedly he finds the preaching shallower and misses the fellowship at his old church, but he sees it as a bigger pond to meet single women. This cast of characters find themselves in conversation with one another at their local coffee shop and agree to meet together weekly to explore what the Bible has to say about church. 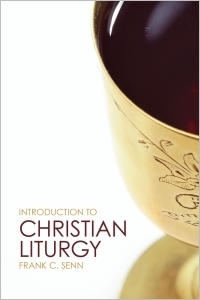 Cotts weaves their conversation together with his own musings on the nature of church, its purpose, and importance. The format is engaging, making it a quick read. 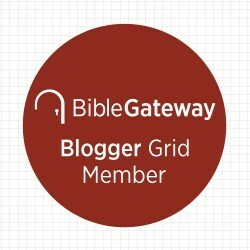 Cotts and his fictional discussion group share a desire to present a Biblical picture of church. He surveys New Testament passages which delineate what the church is and describe its structure and purpose. Of course Cotts is not without his theological bias. His desire to be biblical in his presentation is filtered through a largely Baptist ecclesiology (The church Cotts pastors is an independent church). Church governance is described as consisting of two offices: elder and deacon and the sacraments are described as two ordinances. This bias does not detract from the book, but readers from a more, say Presbyterian bent, may have to make some adjustments for their context. One area which I wish this book filled out more was some reflection on denominations. It seems to me many leave church frustrated with the lack of unity among Christians. Denominationalism is a real problem. On the other hand, denominational structures serve the local church by bringing resources, oversight and accountability. Cotts seems to jump from discussion about the universal church directly to the local church context with little thought about how churches relate to one another. Thank you to Cross Focused Reviews and Shepherd Press for providing me a copy of this book in exchange for my honest review. Vic Cuccia had a cushy ministry job at a popular mega-church but realized something was amiss. He had bought into the commodified, American-Dream-Infected vision of life in ministry which said BIGGER is better and MEGA is majorly better. He had bought into the idea that in order to minister to the people who were coming to his church, people in a certain tax bracket, than he needed to keep up a certain standard of living, have a nice home, drive a nice car, etc. And then he had an uh-huh moment and realized that somewhere along the way his Americanized/commodified vision of the gospel was compromised in several respects. Now Cuccia is the leader of a small community (around 75 people) and has started 12X12 Love Project, a ministry which builds homes for the needy in Guatemala. 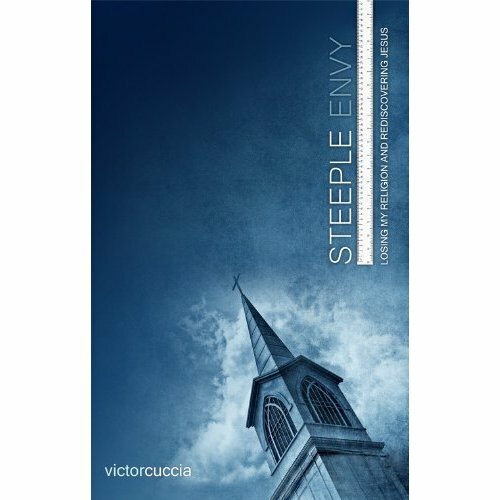 Steeple Envy is his story of learning to see and discovering that as he unplugged from the mega-church, he saw just how prosperity infected and off base it was. Far from building his own empire, Cuccia is now engaged in extending the mission of God to those in his community and abroad. They are moving out, trusting in God to provide and seeing that provision in miraculous ways. But please note that this not a book that is bent of criticizing mega churches per say. Some of Cuccia’s heros are or were mega church pastors (i.e. 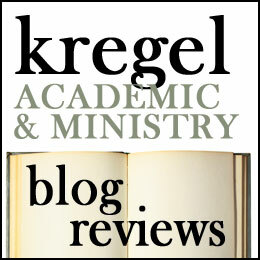 Rob Bell, Mark Driscoll, Francis Chan, etc.). He isn’t saying a big sized church is necessarily bad; what he is saying is that in his own experience on being on staff with a mega church, he got off track in his understanding of the gospel getting caught up in the cultural trappings in that setting. 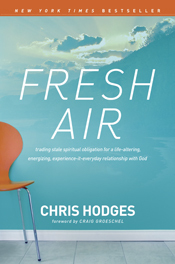 This is his story about re-discovering what it means to live faithful to his calling as a minister of the gospel. I liked this book. I really liked the first half of the book where he confronts the soul deadening elements of his ecclesial life. The title chapter (chapter six) talks about ‘Steeple Envy’ and the whole temptation towards Christian empire building. 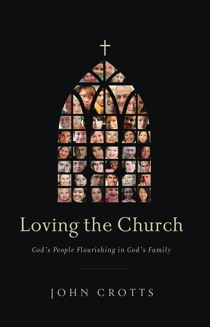 Cuccia’s critique is profound if laden with double entendres The second half the book is good, and it is interesting to see how Cuccia’s re-thinking of how to do church has led him to lead a community which gives sacrificially and is delightfully not polished. Cuccia left a successful ministry job to work on the margins in ways that he felt were more faithful to the gospel. I am grateful that he saw fit to share some of the insights he’s gained on his journey. Posted on August 31, 2012 Categories church, MissionalTags Church, fancy hats, minimum wage job, religion2 Comments on On Not Going to Church, part 2: Who goes to Church vs. Who Can’t?